Not content with already having five cubes named after him, internet maths phenomenon James Grime has now developed a new Rubik’s cube-style puzzle for internet maths joy merchants Maths Gear. 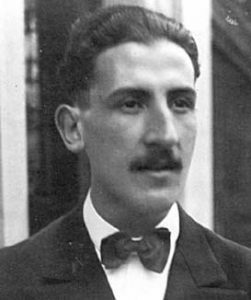 I’ve been slightly involved in the development process, so I thought I’d share some of the interesting maths behind it. 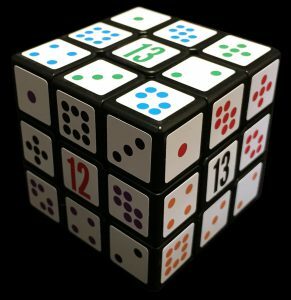 Another name for a Rubik’s cube is ‘the Magic Cube’ – and Dr James Grime wondered if you could make a Magic Cube which incorporates its 2D friend, the Magic Square. 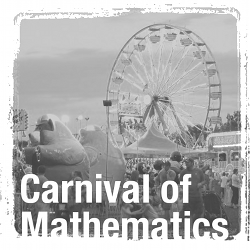 This is a guest post by mathematician and maths communicator Ben Sparks. 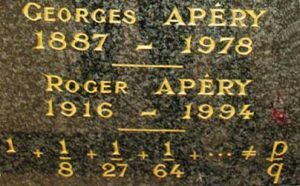 The centenary of Roger Apéry’s birth is an appropriate time to unpack something of this mathematical story. It’s been almost two years since I last sat down with my friend David Cushing and did what God put us on this Earth to do: review integer sequences. I can only apologise for the terrible quality of the video – I was only planning on using it as a reminder when I did a write-up, but once we’d finished I decided to just upload it to YouTube and be done with it.